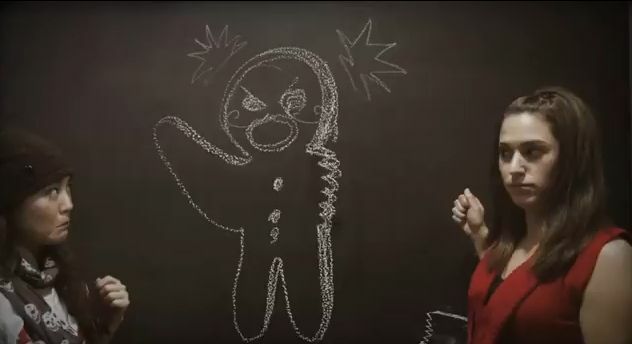 - Another agency holiday card stop motion chalk board-style. - KLM, you know, the airline that now lets you socially hookup with a seatmate, is out with Passport, an app which "turns people's journeys into inspiring movies." - Time Magazine has named Jim Beam's Bold Choices one of its top ten TV commercial of 2011. - Blammo Worldwide unleashes the truth behind the myth of Santa Claus. And it isn't pretty. - Modea's Wisdom Tree of Wishful Wonders app ties with Facebook, where you can select the friend for whom you need a gift suggestion. Then, after answering a series of (not-so-serious) questions, the app will serve up a gift suggestion for that friend, which can be shared via Facebook. - Wow. That wasn't very exciting.